Pink Castle Blog: Kits Galore! We put together the Tiffany quilt kit a few months ago with the help of the pattern designer Rita from Red Pepper Quilts. I personally chose all the prints in that kit and love seeing it hanging in the shop. While we still have that kit for sale, I thought it might be fun to kit a few more projects. 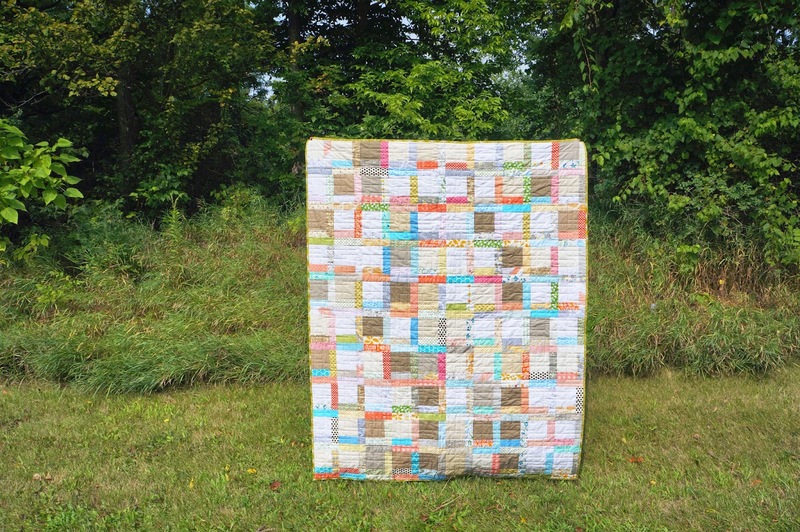 We've put together some new quilt kits so today I want to show off some of these cool new things! 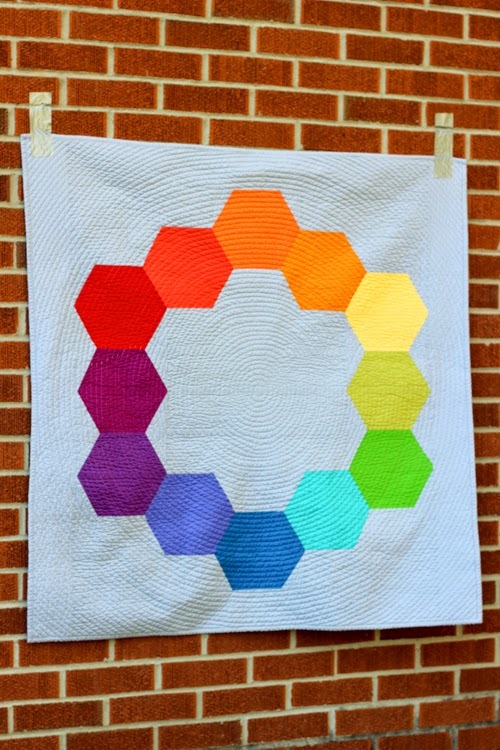 First, we put together a gorgeous solids kit to make Jeni Baker's Color Hex quilt! The kit will include 12 solid fat quarters to compose your color wheel plus a solid background with matching binding. All you'll need outside the kit is your batting/wadding and whatever you'd like as your backing! This quilt finishes at 45" square so it's great for a baby quilt gift and would be an awesome wall hanging in your sewing area. Next, we're kitting a totally new pattern to our shop! 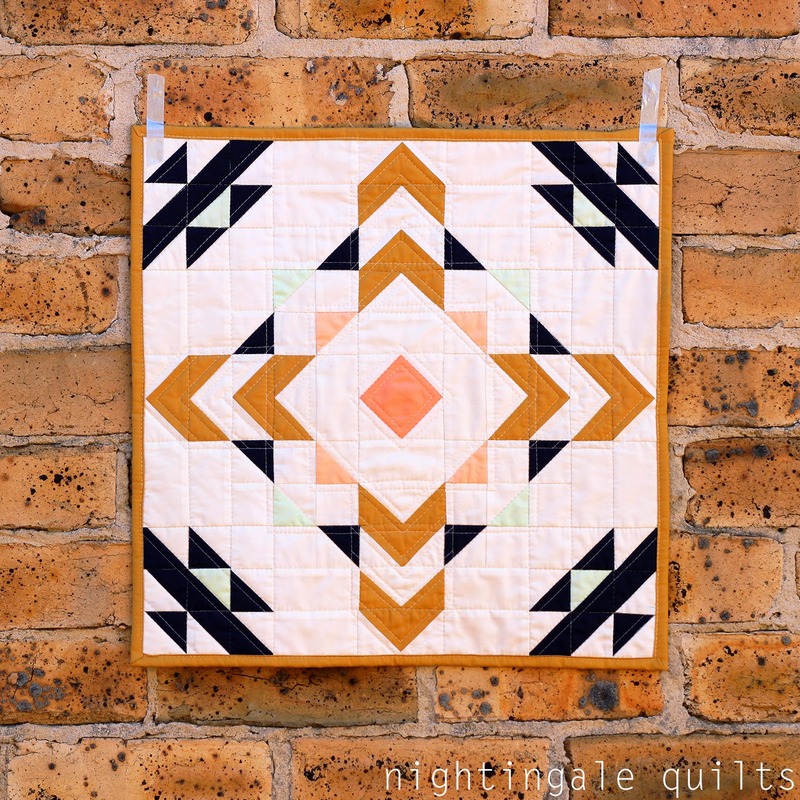 We now have the Ziggurat mini quilt by Caroline Greco of Nightingale Quilts! This mini finishes at 18" square. The colors included in the kit are solids coordinating with April Rhodes's Arizona collection and clearly this pattern is very reminiscent of the motifs in her line. We loved Arizona and are sad most of it's already off the shelves so this is a great way for us all to get a little more of that! In addition to these two, we'll have kits for the next four months of Color Inspirations from RJR Fabrics! All of these quilts were designed by our shop owner, Brenda Ratliff of Just A Bit Frayed. September's pattern, Platforms, uses all the colors from the Evening Ballet color palette and works up to a 60" x 72" quilt. 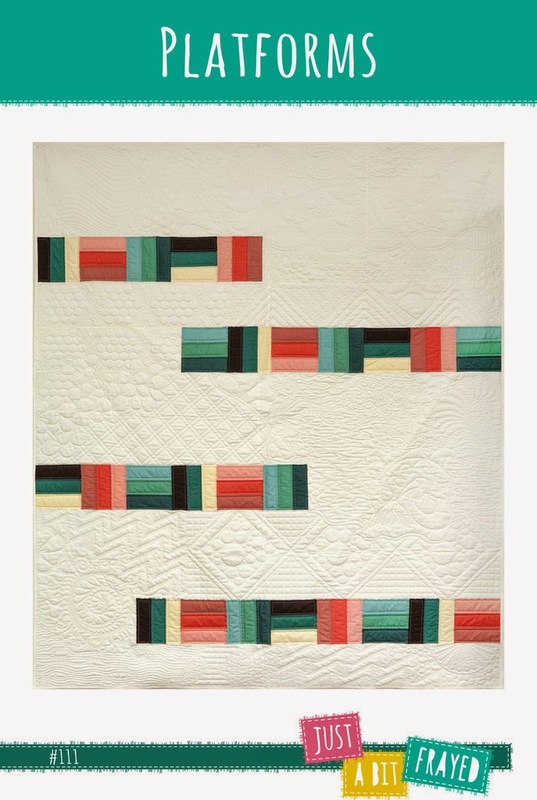 In the coming months, we'll also be featuring kits for the other Color Inspirations quilts Elevation (October), 12th Street (November), and Off The Air (December). Keep an eye out for posts about those when we have them ready! Each of the Color Inspiration kits will include fabric required to piece the quilt top and binding along with a printed full color pattern. All the patterns were designed specifically to showcase these awesome color bundles. If you like all these solids, remember that we also have our Color Inspirations Club! You can get your choice of fat quarter or half yard cut bundles of these solids each month. All kits are available for pre-sale now! Color Hex, Ziggurat, and Platforms will be sent out in the next week or two and the rest of the Color Inspirations patterns will go out in their corresponding months!